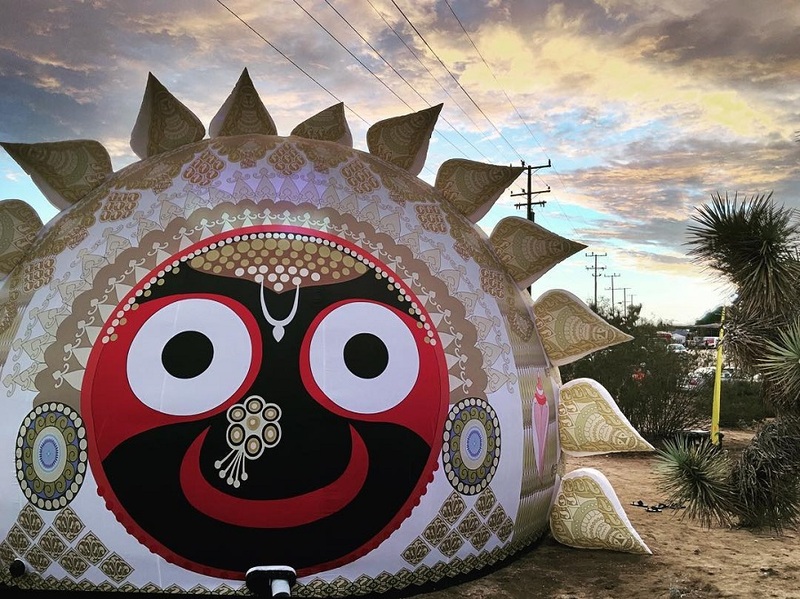 Here are the top 5 examples of festivals where our domes attracted hundreds of visitors. 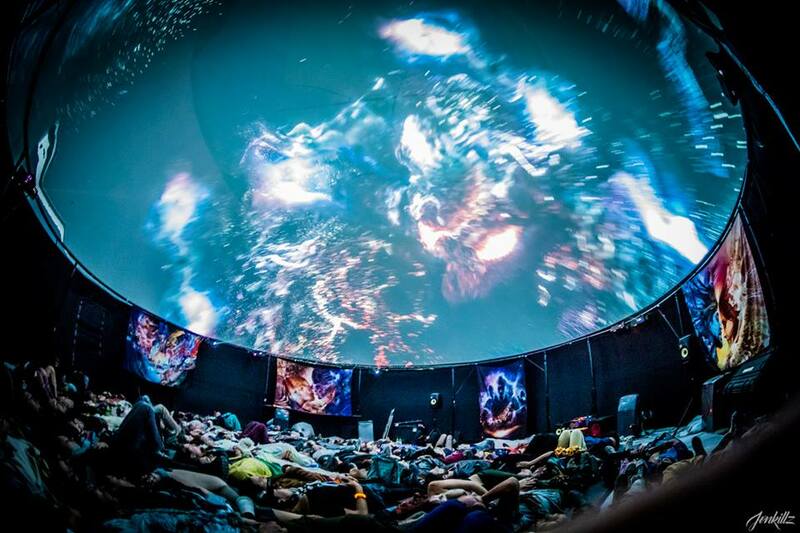 20 meter/66 foot dome with abstractly geometric entrance and external digital mapping was one of the most exciting installations at the festival. Four domes that had been installed together looked impressively. 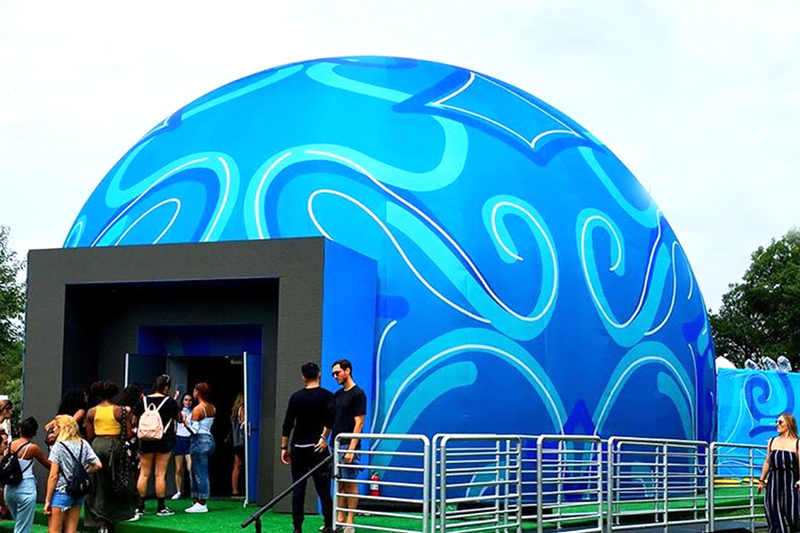 Visitors were treated to different uses for domes: the VR dome, the Wisdome, a spiritual dome, and a gallery dome, for entertainment education, meditation, and reflection respectively. It’s not the first time we have installed domes at this famous annual festival (and it won’t be the last). But it was first time we brought such an distinctive outer cover. Do you know who this is? 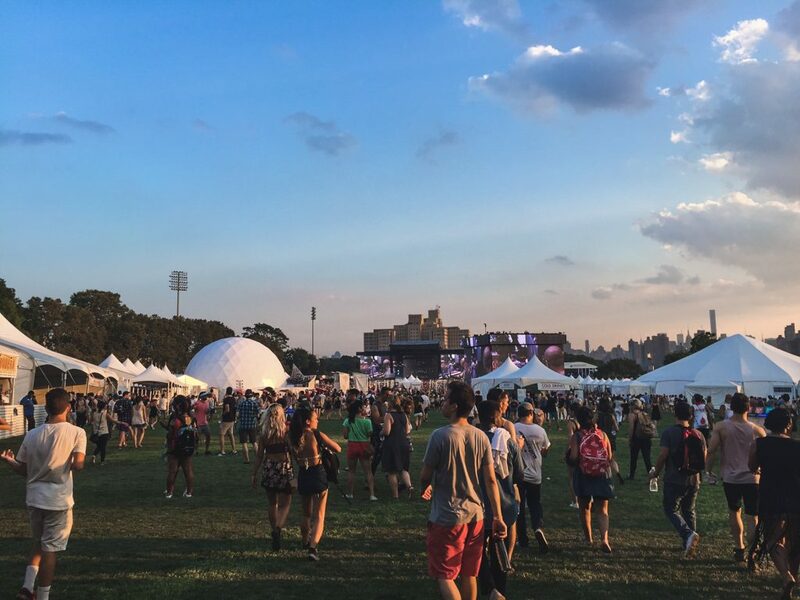 This city festival challenges us every time (and we love it). So for 2017 we came back with a huge, 27 meter/90 foot dome, with standing capacity for over 800 people! Five domes for a private party at the famous Coachella festival. What is the collective noun for domes? An assembly, a lather? Now we are gearing up for the new festival season. How can we help you excite people this year?